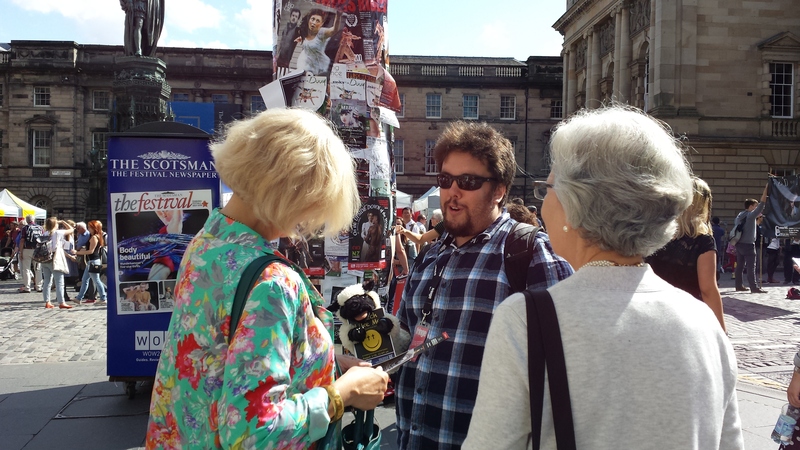 “Flyering” is not really a word—but that doesn’t matter here at the Edinburgh Festival Fringe. Without “flyering,” most shows here would’t have much of an audience, in the early days before reviews and word-of-mouth drive people to specific shows. On Team Wretch, Allo is our Master Flyerer. 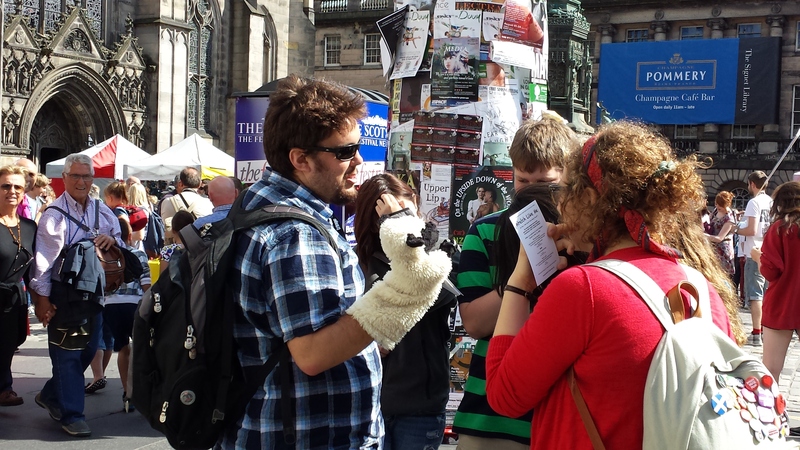 Every morning, he hits the Royal Mile with a backpack full of postcard-sized flyers, and through sheer charm, with and a sense of improvisational fearlessness, gets those flyers into hundreds of hands. 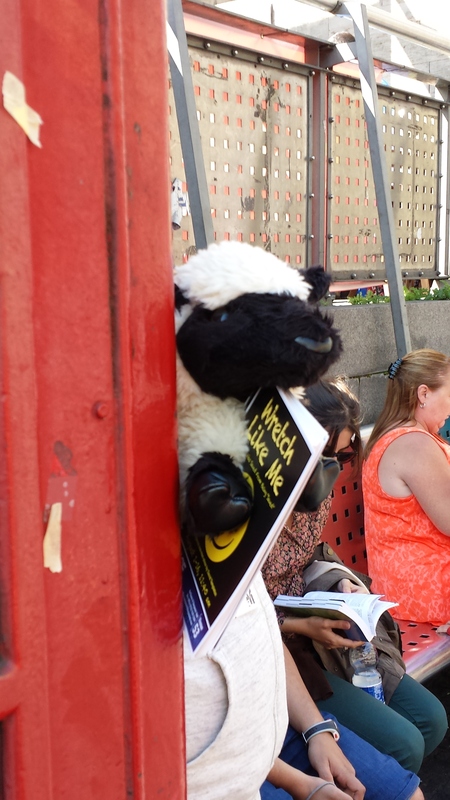 Sometimes, he uses our resident mascot sheep puppet Amazing Grace (discussed in a previous post), getting the attention of passersby in unpredictable ways. Often, he’ll take that following moment to describe the show. And sometime soon someone will probably say . . .